Hawaii is always a good idea, no matter what island you’re jaunting to. Sometimes, though, island-hopping can stick you with a daunting layover at Daniel K. Inouye International Airport in Honolulu. The good news? An Uber ride is a mere 20 minutes, sans traffic, to some of the island’s best neighborhoods for eating. Here, a trustworthy guide to several must-see (errr, must-eat) spots in Honolulu during your next layover. Bring your best appetite game, as there’s so much to devour in such little time. 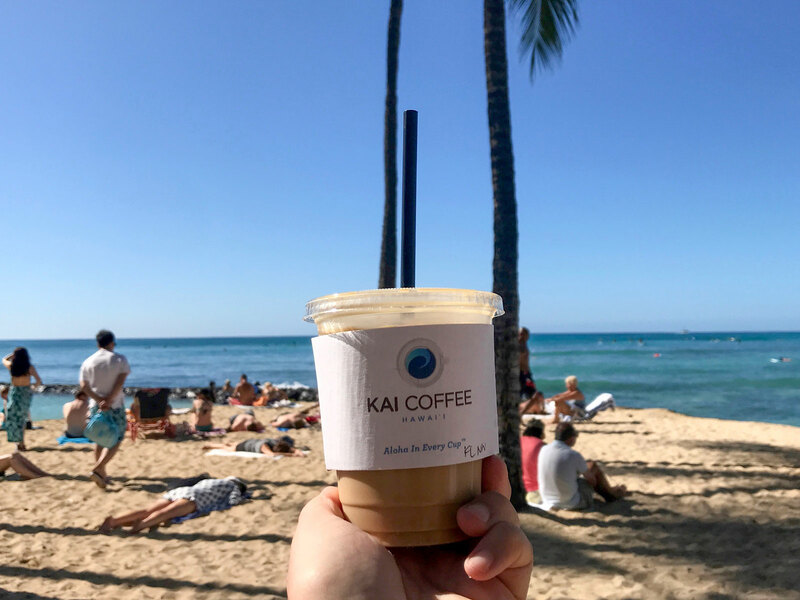 First off, you’re in Hawaii, land of the best coffee beans on earth, so take advantage and pop by Kai Coffee for a purist pour or slurp down a luscious Kai Latte crafted with macadamia nut whipped cream and chocolate-covered macadamia nuts. Word to the wise: Waikiki Beach is just across the street, so grab coffee and a Maka’i roll (like a croissant meets muffin) or a strawberry guava bagel and watch the surfers while you devour the above. Stroll along Ala Moana Park and burn off some calories while soaking up the rays and make your way to SALT at Our Kaka'ako, a hub for culture, food and shopping. Grab a Plantation Tea—black tea sweetened with fresh pineapple juice) and explore everything from Lonohana Estate Chocolates to Hank’s Haute Dogs (the Hawaiian dog with Portuguese sausage, mango mustard and pineapple relish is epic) to the Village Bottle Shop & Tasting Room, where you can taste your way through fantastic island brews and then some. Lunch is the biggest decision you'll make all day, as there are so many tempting choices. In the end, it all comes down to what you’re in the mood for: traditional Hawaiian fare, a progressive Chinatown eating tour or a hip hotspot. 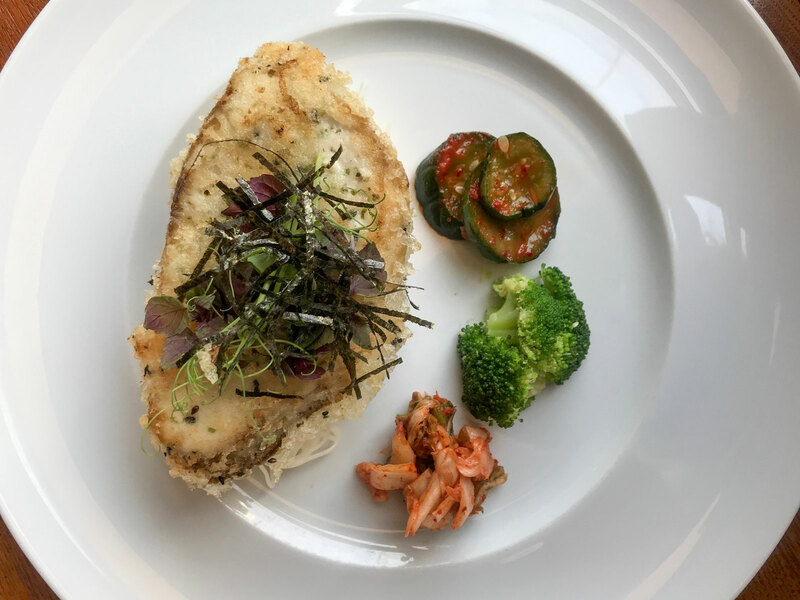 The world is your oyster when it comes to food in Honolulu, so we’ve graciously included a few different scenarios below. MW Restaurant, helmed by chef Wade Ueoka and wife/pastry chef Michelle Karr-Ueoka, is a happening spot for lunch. Try an Ahi poke bowl and the chef’s famed mochi-crusted fish, and we don’t care how full you may be, save an ounce of room for Karr-Ueoka’s ridiculously flavorful Kula strawberry shave ice—notably made from compressed, frozen fruit that’s shaved into a gorgeous glass versus the usual shave ice with fruit syrup drizzled on top. 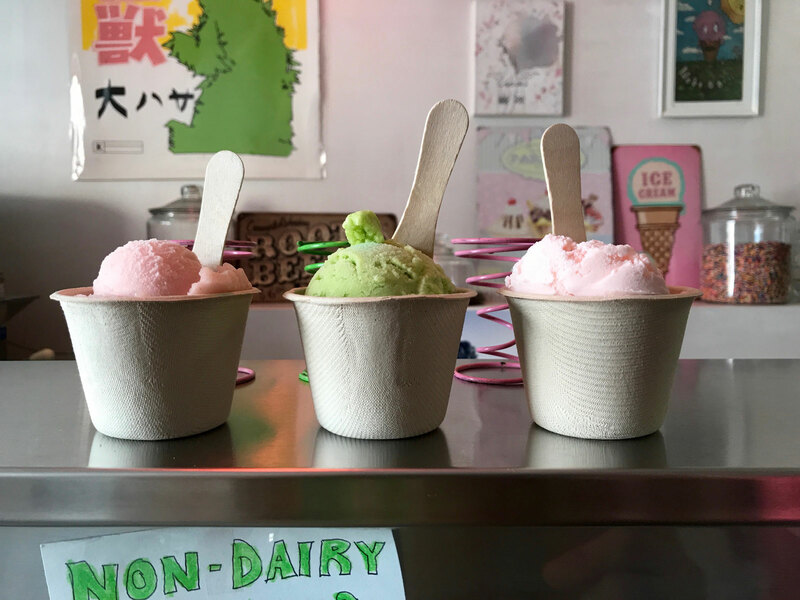 If it’s just sweets you’re seeking, hit Aloha Ice at The Street for a curated menu of inventive creations. For a more traditional Hawaiian-style lunch, Pioneer Saloon’s variety of plate lunches will hit the spot. 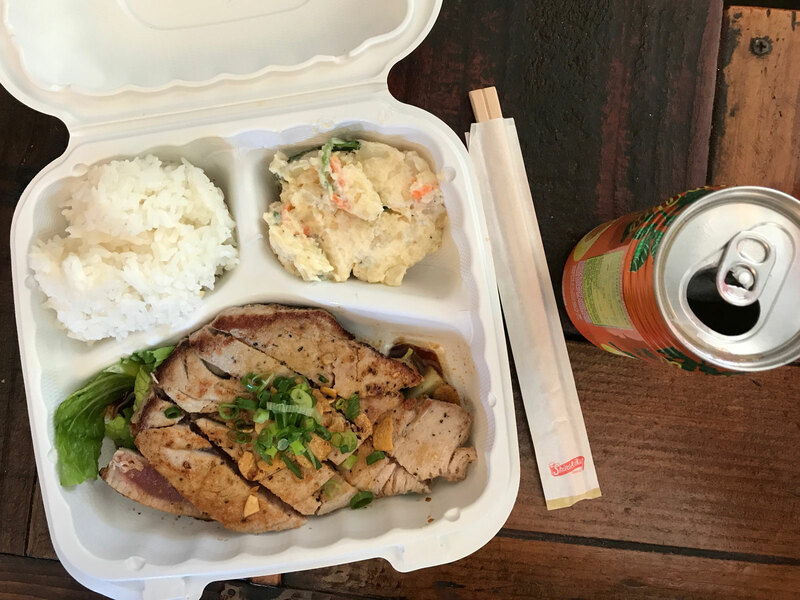 Loco Moco (white rice topped with a beef patty, gravy and an egg) and the seared Ahi tuna plate served with rice and potato salad are two favorite options. If you don't want to commit to one place, an eating tour through Chinatown is in order. (Bonus: You can sweat off some of the deliciousness while perusing the vibrant, artsy area.) While there are endless options, it’s wise to start off at O’Kims for the mouthwatering confit pork belly brulée plate. 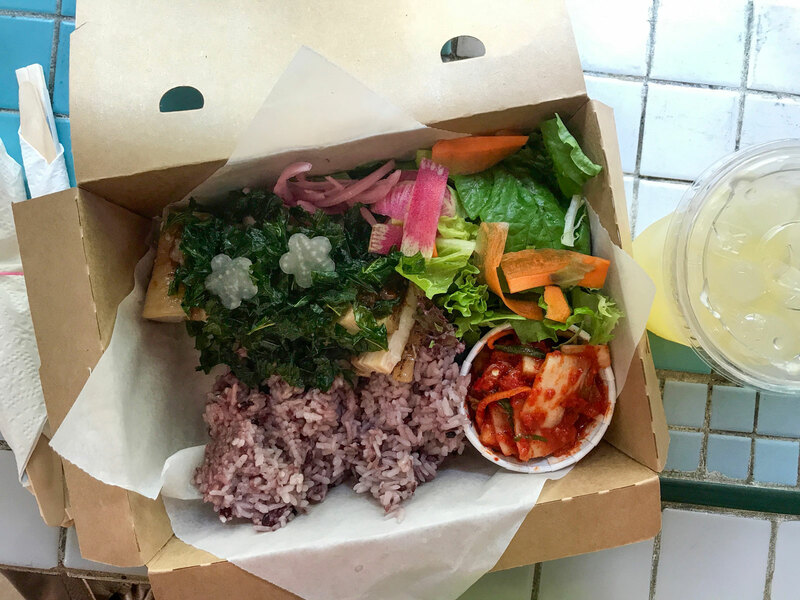 It’s a combination of the purple rice, kimchi and perfectly cooked pork belly that make this a winning pick. Stop by Owens & Co. for a few tasty souvenirs such as Island Moonbow Farms’ Wai Meli Local Raw Honey, Sweet Brown Hawaii caramels, Maui Shrub Farms’ Pineapple & Sage Shrub and local beans from the Ka’u coffee belt region on the Big Island. 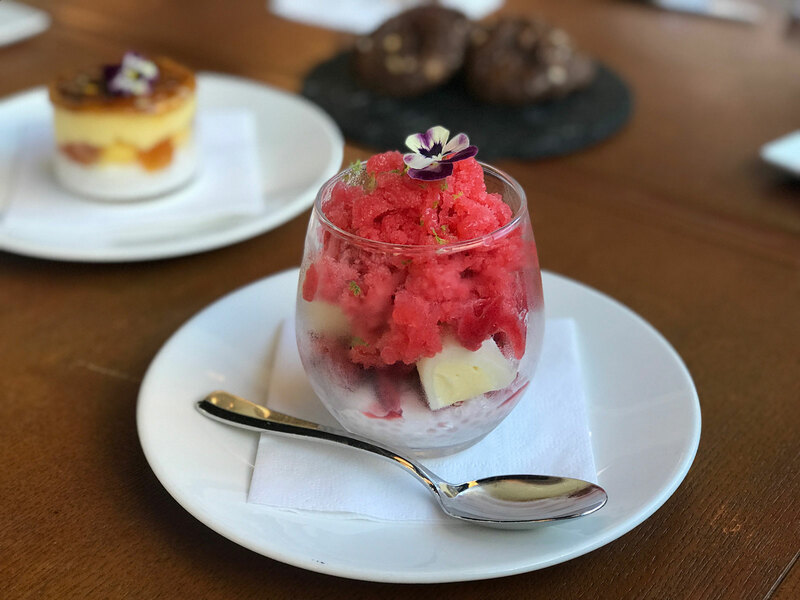 Once you’re ready to continue the eating journey, post up at Wing Ice Cream Parlor for a few small-batch scoops of "guabanero" sorbet, pineapple Thai basil sorbet and rose ice cream, or whatever unusual concoctions the owner’s serving up that day. For a hip spot with damn good bites, Piggy Smalls is where it’s at with innovative Vietnamese dishes. Don't leave without devouring an order of crispy umami potatoes served with a melted, tangy sauce made of Taleggio cheese and cauliflower bound together. 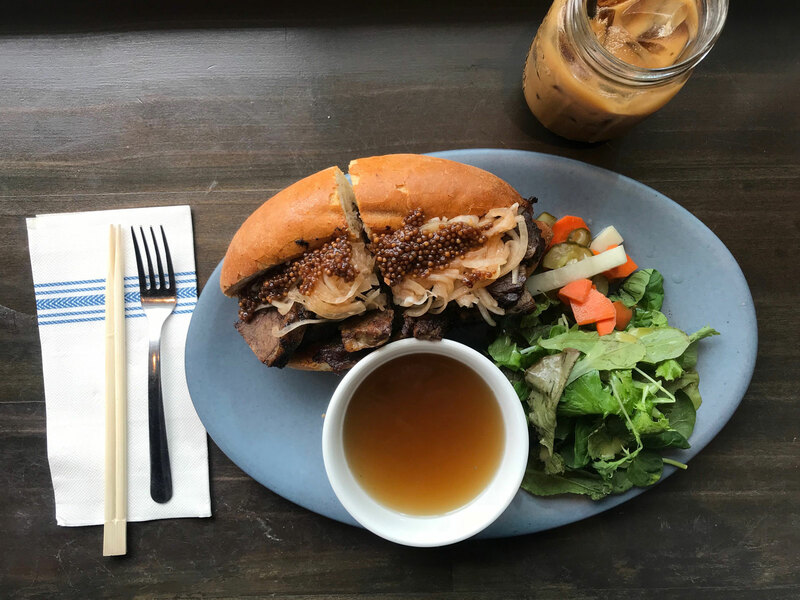 The Pho-Strami Dip—think a banh mi meets French dip that’s meant to be dunked in pho broth—is even better than it sounds, plus, you can wash it all down with a proper Saigon-style iced coffee. If you’re flying back to the mainland, chances are you’ll be catching a redeye, which means more time to…. eat and drink everything before flying home to cold weather. Grab an outdoor table at Basalt, inside Honolulu’s newest food hall, Dukes Lane Market & Eatery, for live music (6 to 9 p.m. daily), happy hour snacks and a guava pisco sour. 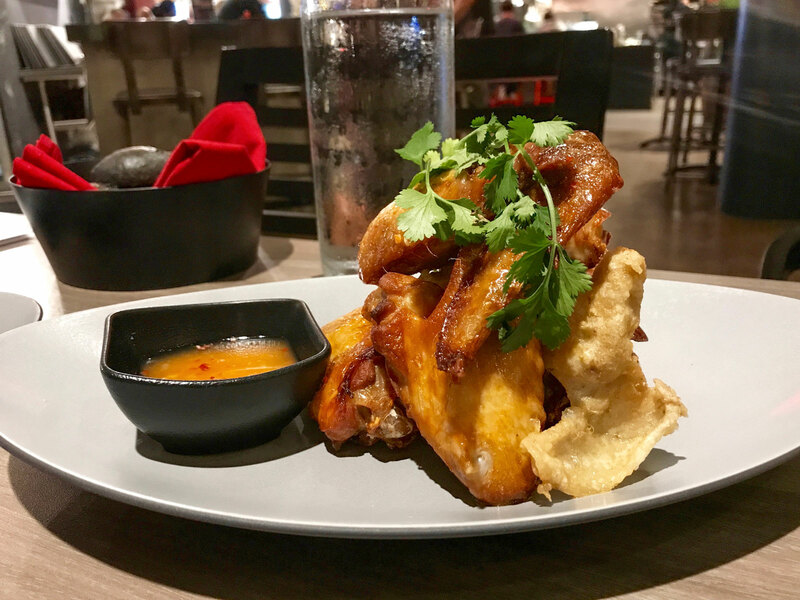 We strongly recommend sharing a few of chef Keith Kong’s award-winning bites: Ahi poke, charred tako (octopus) and crispy adobo chicken wings, to be exact. 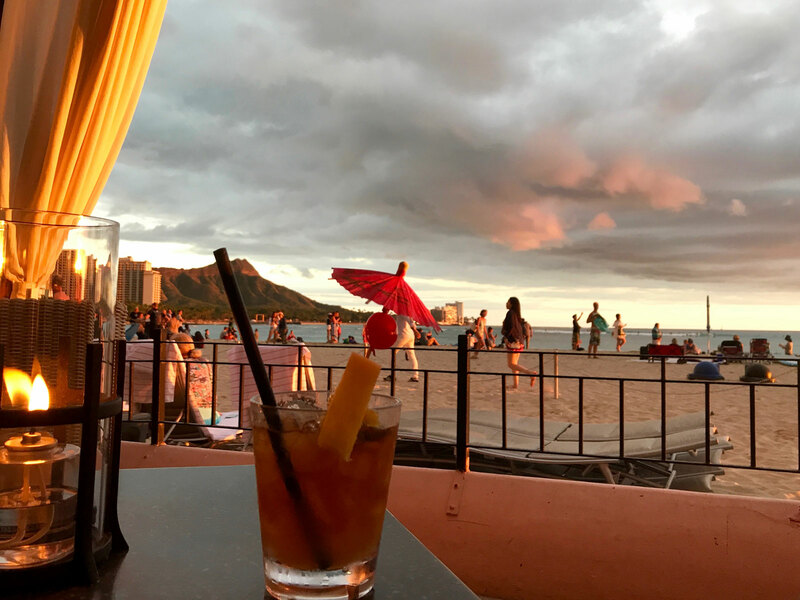 If oceanfront property is preferred, jaunt down the street to the Royal Hawaiian (aka the pink hotel) and catch a cotton candy sunset with a Royal Mai Tai in hand at the legendary Mai Tai Bar. To put it in perspective, the bar sold a whopping 96,000 of these Instagram-worthy drinks in 2016. Once the sun goes down, head over to Azure for the freshest fish, hand-picked daily from the Honolulu Fish Auction—and quite arguably the best last meal ever. Blow it out of the water with the Kona lobster and brioche that eats like a grown-up lobster roll with truffles, Auction Block sashimi, scallops and foie gras and the seafood-packed ocean salad. Once you’re plenty full, ask the lovely wait staff to pack a to-go order of chocolate flourless cake for the lengthy plane ride ahead.